Annie's ex-husband Dex is marrying Trevor, the love of his life. Annie has agreed to give Dex away. They were always better as friends than as husband and wife. Annie's secretly still in love with her first ex-husband, Evan. She has children from both men. Her marriage with Evan stranded because he couldn't handle being a young dad. Annie's used to running a busy household by herself, while also working as a teacher, but she'd love to be in love again, to have someone by her side who supports her unconditionally. She once thought she'd found this with Evan and later with Dex, but both marriages didn't work out, will she be able to have it again and keep it this time? 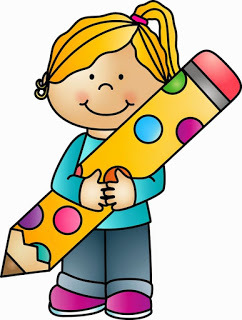 Annie is a thirty-nine-year old mother, who doesn't particularly love her job, but works as a teacher because it pays the bills. She's always taking care of others and puts her own dreams aside for her loved ones. She has three wonderful children and several pets to look after. She's also there for both of her ex-husbands, she's a good friend and a loyal daughter. However, sometimes it's nice if she doesn't have to do all the work and doesn't have to manage everything and everyone on her own. Will she find romance again and have her happily ever after? Something Old, Something New is a hilarious feelgood story. Darcie Boleyn's honest and open writing made me laugh out loud plenty of times. Annie's life is chaotic. She has adorable children, who sometimes make messy and incredibly funny mistakes. I loved the heartwarming way Darcie Boleyn's describes Annie's family adventures. Annie is a kind mother, she's doing the best she can, she's gentle and sweet and she's independent. I liked her fiery spirit and the fact that she can laugh about herself when she messes up is charming and refreshing. She's a beautiful main character, inside and out, and I enjoyed reading about her family, romantic journey and fabulous furry friends. Darcie Boleyn has a fantastic sense of humor. I love how she knows no shame and writes the most amazing scenes about situations that everybody recognizes and would rather forget. 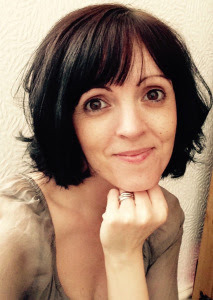 She makes every part of family life accessible by writing about it in a gorgeous authentic way. This makes her stories an absolute joy to read. 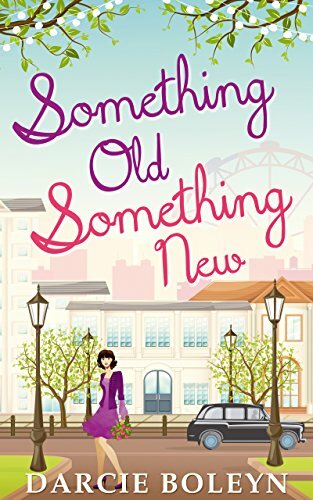 Something Old, Something New is original, entertaining, endearing and surprising. I loved this terrific romantic story. 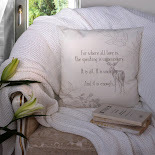 If you love hilarious romantic stories Something Old, Something New would be a perfect choice. 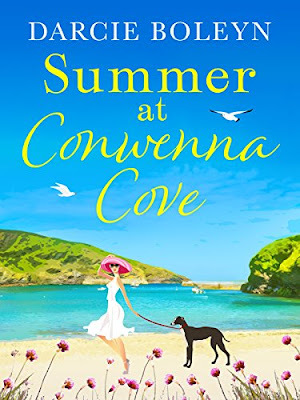 One very lucky reader of With Love For Books will receive a wonderful Summer at Conwenna Cove prize consisting of a signed bookmark and a postcard with a message from Darcie Boleyn. 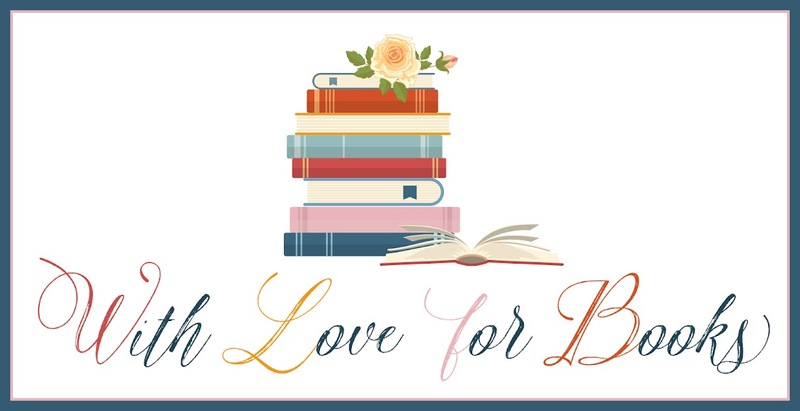 Two runner ups will win an unsigned bookmark and postcard. 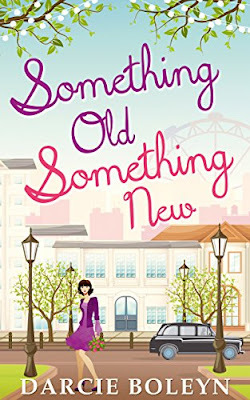 Something Old, Something New sounds like a feel-good summer read that shows us the power of love and the meaning of family. I love the fun cover! Great writer and thanks for another book that looks great!! 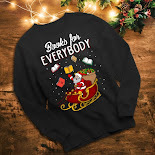 Sounds like a great book to read! You are new to me but am following everywhere now!! This sounds very intriguing. Love the fact that a woman is giving a man away (I could happily give ALL my exes away - just not in the marriage sense) lol. Sounds a great "holiday" read as well, as it's got a real "feel good" vibe about it. My TBR mountain range has now moved into another country - it's that large lol. Apart from the fact that I think Darcie Boleyn one of the sweetest names ever, she can always be relied upon to make reading fun!